Commencing operations in September 1994 with Peter Wandel opening the doors with a toolbox, a vision and a heap of enthusiasm. Husqvarna were the company’s first major supplier. During the early years, the range of ARGO Amphibious All Terrain Vehicles were added to the product range, and that has proven to be a great success. In 2002 arborist products were added to the range. This comprises of tree climbing equipment, i.e. climbing spurs, harnesses, karabiners, rope, ascenders, descenders and a myriad of rope and access products that the tree lopping industry use. 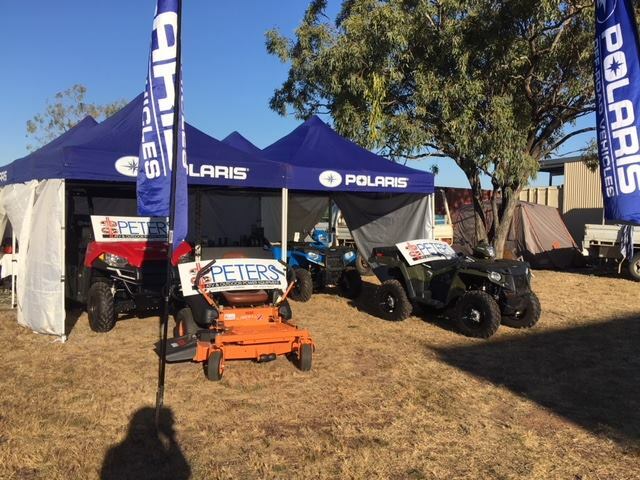 In mid 2007 we joined with Polaris taking over as franchisee for the worldwide acclaimed range of Polaris Off Road 4 and 6 wheel drive All Terrain and Utility Vehicles. As the business has evolved, so has the product range to include Victa, Kanga, Battery Products and also the most recent robotic mowers. 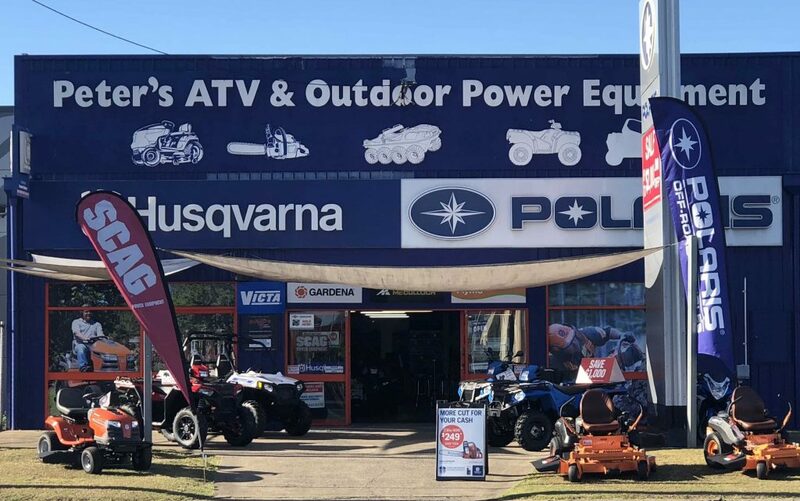 The owners of Peters ATV & Outdoor Power Equipment, Peter & Marion Wandel are 100 per cent committed to customer service at the highest level attainable. Peter, with over 40 years experience in owning and operating small engine equipment stores, and Marion with a life time of office management experience, will not stop until they have done their very best for the clients of this company. Along with their loyal team they believe that all customers that shop with this company will have a great experience and a business relationship that lasts for a lifetime. Exceptional customer service. We assess the needs of the customer and only sell the products that we feel fit their needs. When we sell a product we perform a pre delivery inspection which means the product, isn’t still in a box, it is built and has everything it needs to get the job done as soon as it is delivered. Buyer has peace of mind. All warranty jobs are organised at our shop. We have most fast moving spare parts in stock ready to get your equipment back to you ASAP.